Dried hibiscus flowers (jamaica in Spanish) give this drink its gorgeous ruby glow and extra tang. Mixologist Maria Hunt created the recipe. Put hibiscus syrup, mezcal, and lime juice in a shaker and top with ice. Shake; strain into a coupe glass. 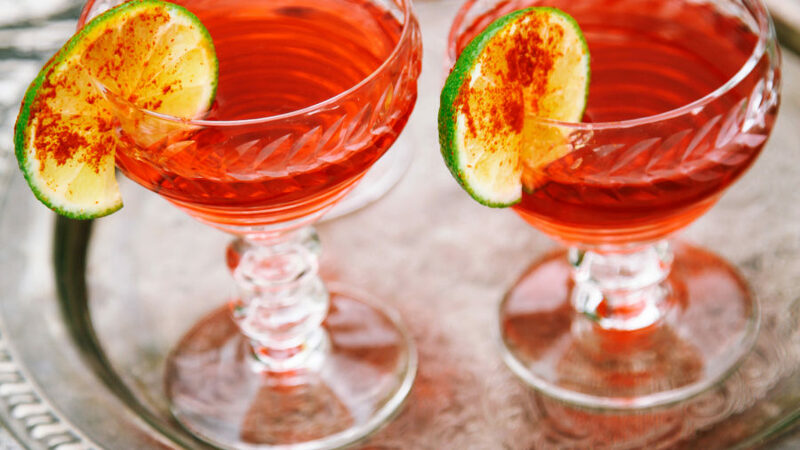 Garnish with a lime wheel, sprinkled with Tajín if you like. *Find Tajín at Mexican markets and online.